At Remember When Estate Sales, we take care to provide our customers high quality services personalized for each family’s unique needs. If you have any questions concerning any of our services, please don’t hesitate to contact us. We will be happy to help find the best solutions for you, because one size does not fit all! We take each client’s unique needs into consideration. Whether a family member has passed, someone is transitioning into an assisted living situation or you are moving or just ready to downsize…we handle sales in all of Austin and the surrounding areas. 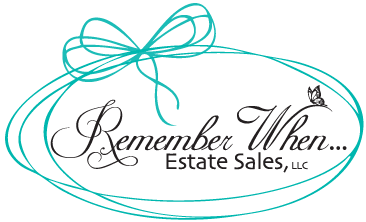 At Remember When, your Estate Sale is not a glorified “garage sale.” It’s an event where your items are professionally staged and presented for sale by Austin’s Premier Estate Sale Experts. Knowing the market and pricing trends allows us to get more than you expect for items in most cases. There is no guess work with us, we are pricing experts! The main reason: We only work for YOU & our job is to make your process stress free, while maximizing your profits!! We do not sell wholesale to dealers, shops or buy left-over items ourselves: We do not own a store; we feel this is a conflict of interest! We will handle everything for you from start to finish, turning an overwhelming and stressful situation into a smooth and seamless process. Our mission is to treat you like our own family, conduct ourselves professionally and be available every step of the way. We are Austin’s Estate Sale Experts. Please call us for a free in-home consultation, we serve Austin and the surrounding central Texas area. You won't want to miss this fantastic moving sale....full of current & modern furnishings, decor & more. Check back soon for more info. Have a house full of “things” and not sure what to do with all that “stuff”? An Estate Sale may be the right option for you! Each client has different needs, at Remember When we take those into consideration. From everyday things to high-end antiques as well as the odd and unusual, we’re equipped to manage it all. Remember When Estate Sales has the expertise and knowledge necessary to showcase your sale and run it smoothly and successfully. Additionally, we do not charge you a dime upfront we work on commission! 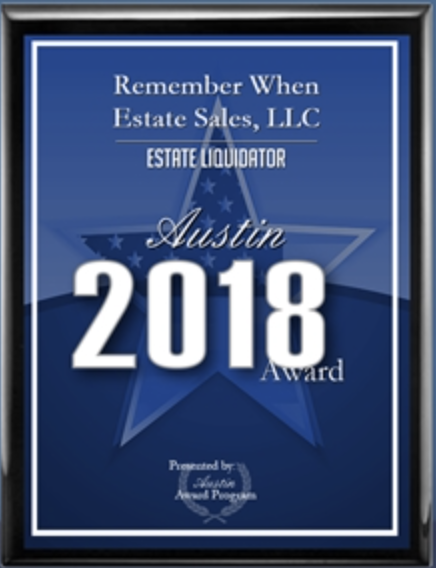 Remember When Estate Sales focuses on The Austin Metro Area and in many other surrounding areas. Ready to Get Started or Want to Know More? Want to come to our Estate Sales? We will let you know of our up and coming sales so you don’t miss any treasures. Thanks! We'll be notifying you of upcoming sales.